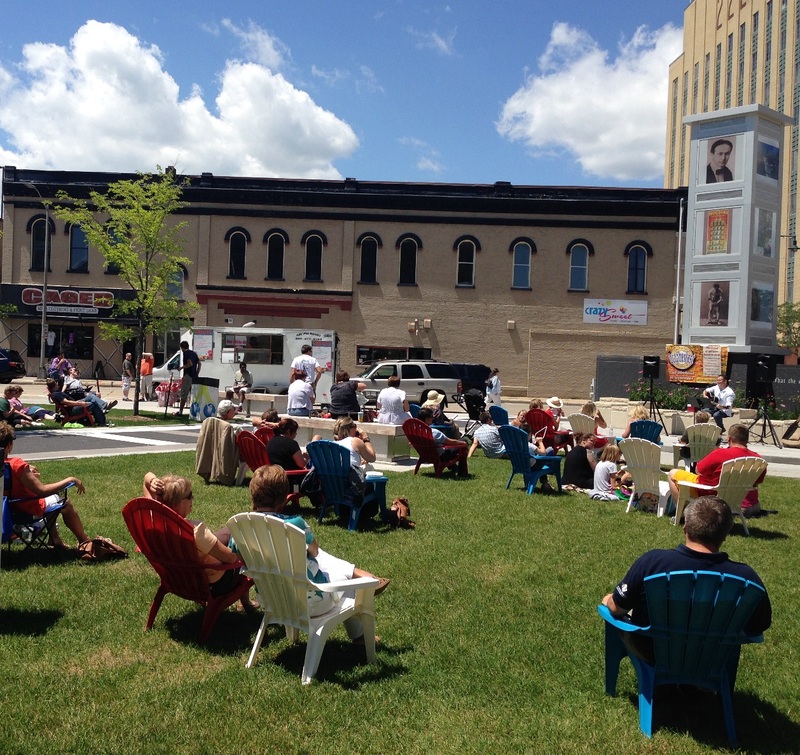 Posted on Jan 5, 2015 by Appleton Downtown Inc.
One of the most exciting urban planning trends of the moment is "placemaking," and we are on the leading edge of that trend here in downtown Appleton. Placemaking builds on a community's assets and makes public spaces more enjoyable. The goal is a more active, healthy, and prosperous community. We saw a perfect example of creative placemaking in downtown Appleton this past summer when colorful chairs showed up in Houdini Plaza. When the space was redesigned, there were a few benches installed. But adding these movable chairs allowed people to create the kind of seating areas they wanted to have, and lead to more people spending more time (and money!) in the downtown business district. A simple addition like chairs can turn a vacant public space into a fun "place". What else can we do to make downtown a better place? Adding more public art is one effort already underway. When the downtown has more public art it gives people another reason to come downtown, walk around, talk about the artwork with friends, and think creatively about the nature of their community. Flexible seating areas and public art are two ways to get people more engaged with the spaces we share. Private and public building projects should also consider how to make spaces into places where people will congregate and collaborate. It's good for our community and our economy!